"A true ninja knows when to fight, and when to blend in the shadows." With Comic-Con underway, Warner Bros has debuted another new trailer for The LEGO Ninjago Movie at the comic book convention in San Diego. This latest LEGO Movie from Warner Animation Group, arriving in theaters this fall, tells the story of six young ninjas who must go back to their ninjas root to defend their island called Ninjago. Jackie Chan voices Sensei Wu, their master and ninja teacher. The rest of the main voice cast includes Olivia Munn, Dave Franco, Michael Peña, Abbi Jacobson, Zach Woods, Kumail Nanjiani, Fred Armisen, and Justin Theroux as the evil Garmadon. 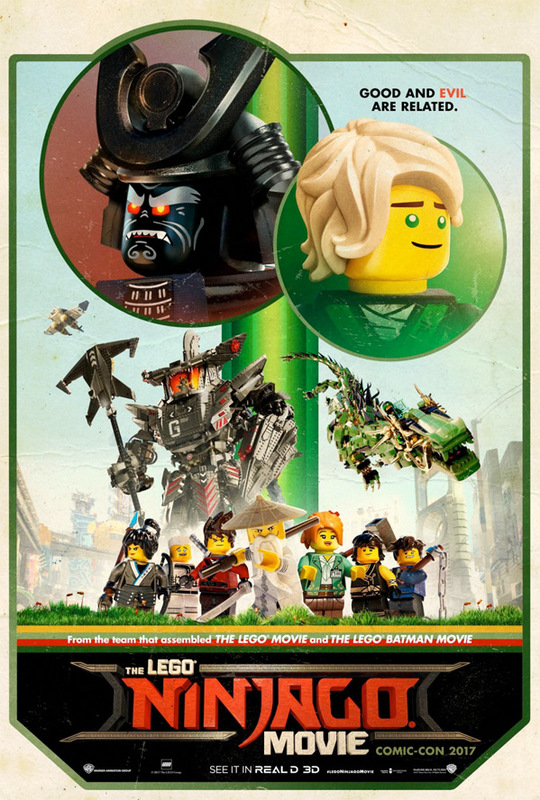 This looks as good as the previous two LEGO movies, with as much humor and action and wacky, fun quirks thrown in - like the cat at the end of the trailer. I'm down for this. You can also still watch the first official trailer for The LEGO Ninjago Movie here, to see even more footage.